 Climate change is causing an increase in numbers of several grasshopper and cricket species. According to research from the Centre for Ecology & Hydrology (CEH), the warmer weather in Britain has led to rise in numbers of species, such as the long-winged conehead and the Roesel’s bush cricket, in more northern areas. The long-winged conehead, a bush cricket species, which first appeared in Britain in about 1945, was confined to the South Coast until the 1980s, but can now be found north of Leicester. Data shows that it has moved more than 150 miles in the past 20 years. 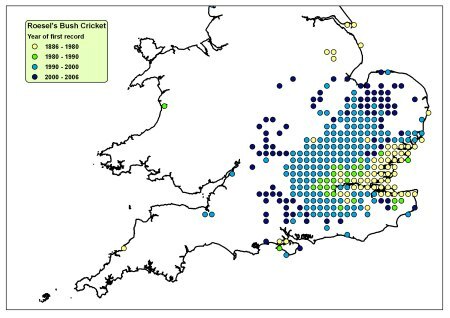 Similarly, the Roesel’s bush cricket was mainly restricted to the Thames and Solent Estuaries until the mid 20th century, but is now spreading across south and central Britain, migrating more than 50 miles over the past 20 years. The most common insect species in Britain are the ones that have increased most in number, as more of these cold-blooded species move into warm areas up north; there are some rarer species, such as those that use warm sand dunes for habitats, that are unlikely to increase in the same way. 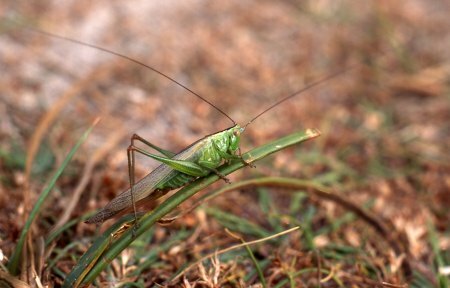 Dr Peter Sutton, a science teacher from Bedfordshire and a leading authority on grasshoppers and crickets, said: ‘The remarkable range expansions observed over the past two decades have shown, unequivocally, that where species are capable of exploiting new habitats, they have done so. 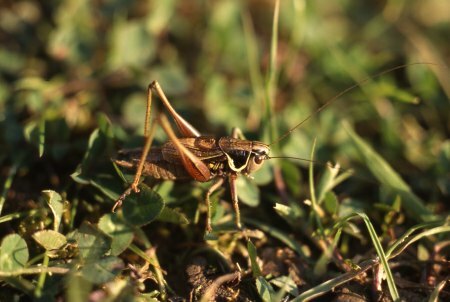 The findings come as a result of the CEH’s new web-based monitoring scheme, which encourages the public to record sightings of the 27 native species of Orthoptera (grasshoppers and crickets). This follows the success of the website tracking the rise of the invasive harlequin ladybird. Dr Helen Roy of the CEH, who has been involved with both websites, said: ‘The harlequin survey was a great way to get more people involved in recording wildlife, and we receive very high-quality data. Björn Beckmann, a researcher on the project, said: ‘Our findings on the correlation between changing weather patterns and insect species expansion are reflected by those in the rest of central Europe, so this isn’t just a local phenomenon. 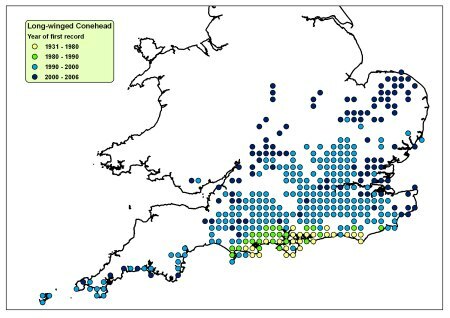 ‘Defra’s latest UKCP09 predictions suggest that climate change will continue to affect Britain’s weather patterns over the next 100 years, so we expect to see the Orthoptera species expansion continue.